The clichéd theatrical movie experiences and munching on popcorns and soda can be boring at times.The hassle of priory booking a ticket and at times not getting the opportunity to watch your favorite movie can be a real downer. 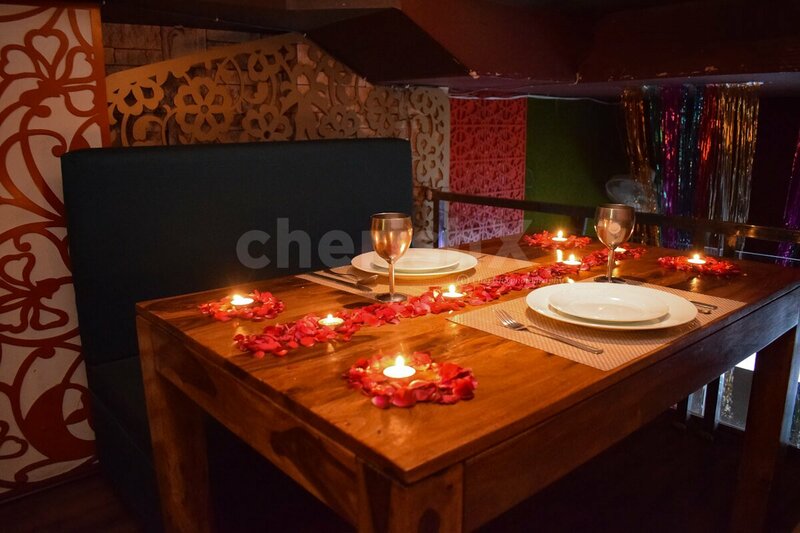 So, skip the trip to bandwagon with herd instinct and ramble into this rustic & romantic private movie and fine dining Experience with your beloved one.On your arrival, you will be by two Complimentary mocktails and as you watch a movie, feast on a 3-course veg/non-veg meal consisting of 2 starters, 2mains, unlimited breads and 2 desserts! The place is located in gurugram. 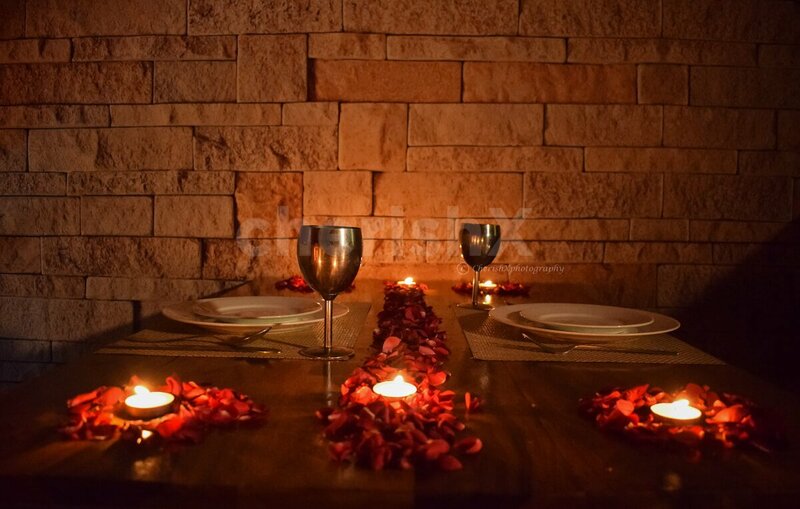 It is anaesthetic set-up with bricked walls and chromatic chandelier hanging and illuminating the whole room and giving it a magical essence. 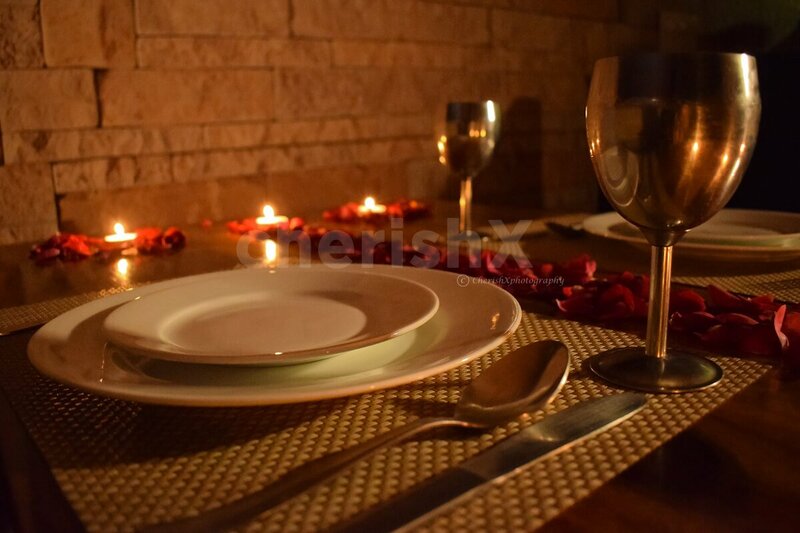 Moreover, oil lamps and scented candles with rose petals spread beautifully on the table will sway you in a mood of intimacy.You could opt from either veg/non-veg meal comprising of 2 starters, 2 mains, unlimited breads, and 2 desserts.You will be accompanied by a private butler.For movie screening, you need to bring the movie you want to watch in a pen drive and the experience will be worth recommending. Be ready to get Schwifty and cozy and have a great time.Make it more happening with some exciting customization get the room filled with prismatic balloons or a cake for the touchdown. 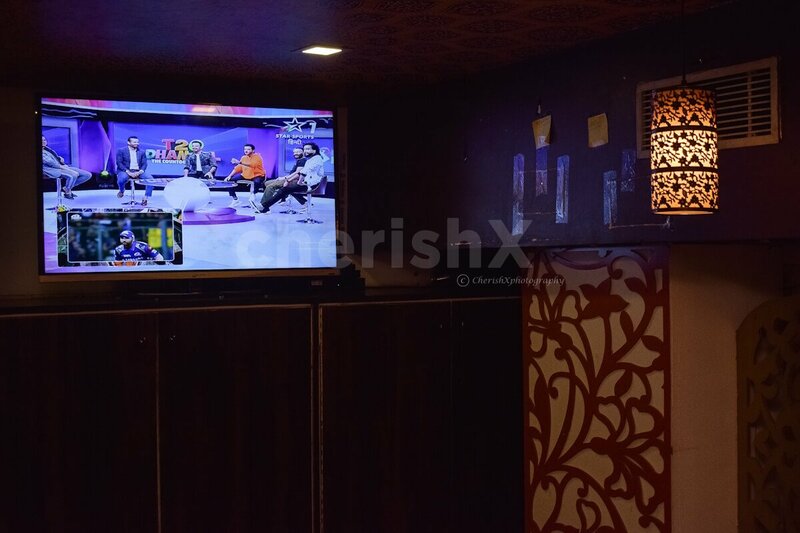 Just check out our thoughtful customisations below! 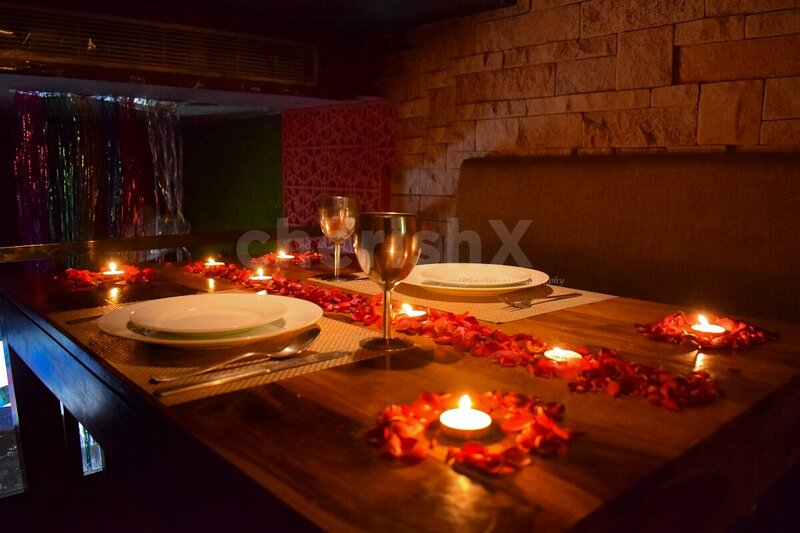 A beautifully decorated table with candles and rose petals.